Two other books are also ready, my mother's "Songs and Poems of Frances McLeod" and just in time for Burns Night, "The Illustrated Address to a Haggis"
Four new publications are now out and available. contains fourteen poems that directly relate to the Hebridean Clan MacLeod, including “The Song Of The Caurie Shells”, “A Lament for the Games At Coombs Ranch,” “It Takes Your Breath Away,” and the title poem which is an accumulation poem, a MacLeod version of the “The House That Jack Built”. The introduction is by Ruari Halford McLeod, a clan author in his own right. Clansfolk will have fun with this volume. Thirty poems about raising our family in California, including “Three Bands of Gold”, “Three Clocks” and “With Roger”, not to mention doing battle with the varmints in the title story. We watch the tree year in and year out, and just before Christmas we harvest what is left of the crop and make delicious cookies. Treasured memories that might not readily be told are collected. Here is a box of secrets from the poet's heart, tales gathered from a life of reflection. The title poem "My Silver Box" reviews those favorite secret memories which are not forgotten but seldom mentioned. "Flowers of Memory" is a description of how important flowers are in our lives to add beautiful decor to special occasions, and tender expressions of sentiment. In his introduction, Dr. Larry Arnn talks of the power of poetry, and how committing a verse to memory can be of great value at unforeseen moments, Includes “Getting Back On Track”, “Grand Ma’s Smile”, and “Vanishing Wisdom” with over thirty other poems. Time and experience are captured through the author’s lens. 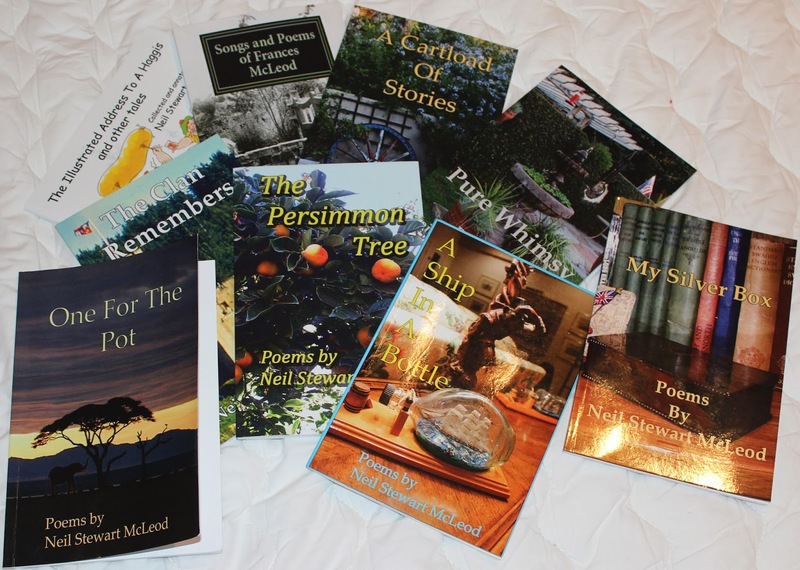 All of these books can benefit from favorable reviews, so if you do get a copy and like what I have written, please write a review on line.